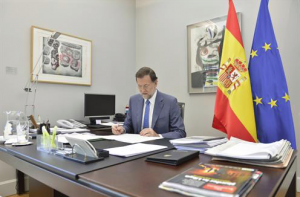 A new general election will be held in Spain on 26 June 2016 after none of the political parties succeeded in forming a majority government. The election of 20 December 2015 was inconclusive. Mariano Rajoy (pictured) of the Popular Party became acting president and months of negotiations between the political parties ensued to try to form a coalition. However, the result was political deadlock and this morning (Tuesday 3 May) the King signed the decree to confirm the next general election. Parites have until 13 May to announce any coalition agreements, until 18 May to present their candidates, and campaigning will begin on 10 June. The next president could be inaugurated in mid-August. Can anyone tell me who represent best the foreigners living in Spain? Where to see their programs in English? And for the future election to the municipal here locally who to vote for – to fine somebody who can represent us specially to change in Camarles. To make lobbying and to force the political parties to publish their programs in English. We are so many foreigners that our vote can make a difference!